FORT DODGE, IA-A Fort Dodge woman is continuing the donations effort to help the effected flooded areas of Southwest Iowa. Heidi Lau has been leading the effort and has an update on what’s next. 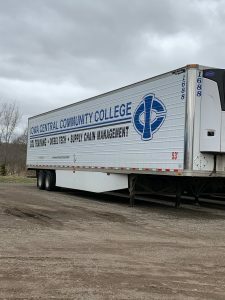 Lau who is an Account Executive at Alpha Media radio stations in Fort Dodge say Iowa Central Community College’s Transportation Technology Center is helping transport donations to effected communities. The live show will be on Iowa’s Favorite Country, K97 next Friday. Lau says she’s still taking gently used clothing, bottled water, air mattresses, small bails of hay and bags of grain. Monetary donations are also excepted. Donations are still being excepted at Alpha Media studios at 200 N 10th St in Fort Dodge.